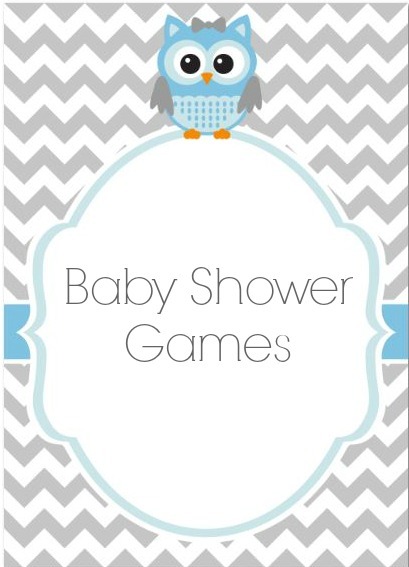 These baby shower games are some of the most common played. They are a great way to break the ice and let the guests get to know each other. In Sing It, Baby!, the guests form a circle. They can sit or stand. Then, each guest must sing a line or two from a song that has the word “baby” in it. When the first player has finished, the next person seated on her right has ten seconds to sing another “baby” song. “Baby” songs cannot be repeated, thus, participants who repeat a song or cannot think of a “baby” song get booted out of the game. The last person singing in this shower game wins a prize! Measuring Up Mommy gives the guests the freedom to measure mommy’s size. Have a couple of toilet paper rolls ready and ask each guest to estimate the size of mommy’s girth by cutting the toilet paper to their guess size. Then each one wraps the toilet paper that they cut around the new mommy’s stomach. The closest length that fits around the mommy’s stomach wins a prize! Remember how you looked when you were a baby? This game takes you down memory lane as you need to dig up your old baby pictures. Here’s Lookin’ At You, Kid! requires you to request all the guests coming to bring the cutest baby picture of themselves to the shower. Upon their arrival, secure each baby picture and assign a number per picture. During the game, lay out all of the baby pictures and give each guest paper and a pen. Ask them to identify as many baby pictures as they can. The guest with the most number correct is the winner. Don’t Say Baby is precisely that! Don’t say “baby” during the entire length of the baby shower. The object is to keep the diaper pin that was given to you upon your arrival. If you say “baby” it will be taken away from you. The person with the most number of diaper pins collected at the end of the baby shower wins a prize. Play Baby Truth or Dare by writing down baby trivia, some correct and others purposely written incorrectly. During the game, ask if the baby facts are either true or false. Those who guess correctly win a prize, while those who don’t will be dared to perform in front of everyone else. We all know that the single lady who catches the bride’s wedding bouquet is said to become the next bride. The Seventh Gift is not so much a game, but more of a fable that says that the giver of the seventh gift that is unwrapped will be the next expecting mother. Avoid “planting” the seventh gift. Last but not the least, Dig Out the Pins is the game that tests the agility of the guests as they fish out diaper pins from a large bowl filled with uncooked rice. Players have two minutes to fish out as many diaper pins as possible. The guest with the most number of pins at the end of the game brings home the prize.